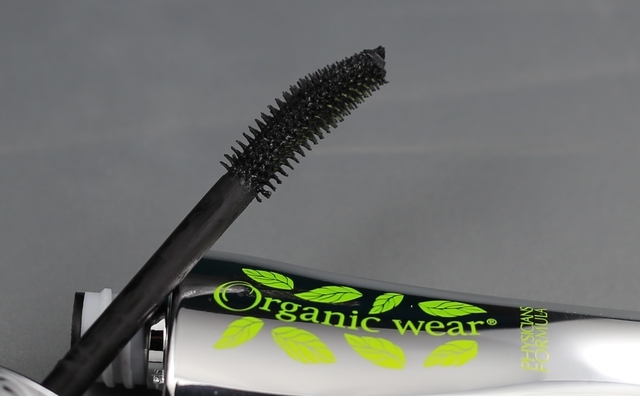 Physicians Formula Organic Wear CC Curl + Care Mascara - $15.79 - available in black and ultra black - with an innovative formula that pumps up lash volume and curl while helping to protect lashes from environmental impurities that contains 100% natural ingredients of which 70% are organic to help curl and care for lashes. including: asena - a natural film that creates curve and fullness; natpure film ap - a flexible sugar that sculpts lashes for the perfect shape; natural biopolymers - to keep lashes clump free; organisoy - helps provide nourished, healthy lashes; eco-olive - natural antioxidants that protect lashes organic orange water - to hydrate and moisturize; organic aloe & organic cucumber - to clam sooth and moisturize; natural rice protein & organic tapioca starch - to naturally boost volume; along with natural colour pigments and natural preservatives for a formula that is hypoallergenic, paraben, gluten and fragrance free making it great for contact lens wearers. It does add volume and curl with very little effort and no clumps so you have to like that! It is a very dry formula though and while I like that it makes it easier to avoid getting it all over the face, it does make you have to work harder to apply and it doesn't go on as easily as a wetter formula. Available now at drug and mass market stores across Canada. I remember FleurdeForce talking about this awhile back- it looks great! I need to give this a go, I've been in such a mascara rut lately!